The KEY-BAK Sidekick is making waves! The Sidekick has quickly become a top seller among all of the KEY-BAK SKU's. So what makes it so special? Our customers love the versatility of this product, as well as its compact, yet functional form. Men and Women, especially in an office setting, want a product that will hold their keys and other small items (like a USB flash drive) as well as their ID or security badges. The durable polycarbonate case makes the product super strong, yet very light, and the zinc alloy carabiner conveniently clips onto belt loops, bags or purses, keeping the Sidekick always accessible, yet secure. 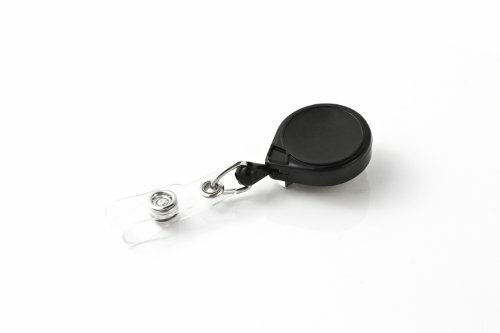 KEY-BAK® manufactures the only USA-made badge retractors with a carabiner attachment. Last three times longer than the competition. Professional duty. 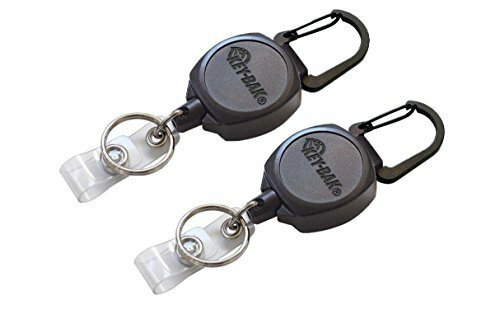 The KEY-BAK RETRACT-A-BADGE ID CARABINER Badge Reel is a premium quality import engineered by the company that invented the original key reel. The 1.25-Inch diameter case is made of strong plastic. With 2 ounces of retraction force, the reel will hold anything equal in weight to 4 large keys. 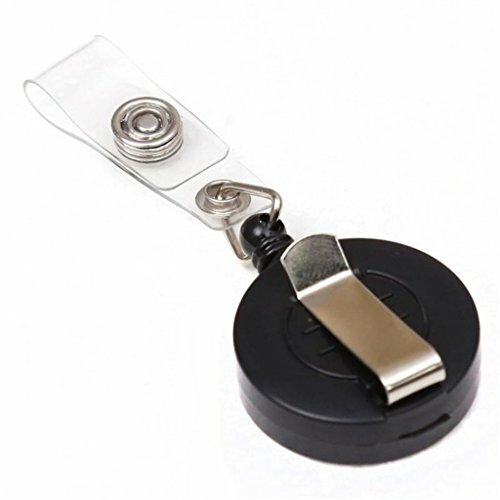 Whatever you choose to secure, know that the 36-Inch polyester cord that is in your RETRACT-A-BADGE retractable reel will be a quality badge reel you can count on. Included is a vinyl ID strap and twist-free end fitting for increased durability and versatility. The RETRACT-A-BADGE badge reel attaches with a hook-shaped carabiner. The Retract-A-Badge by KEY-BAK Identification Series is a wide selection of access control and identification products, including: badge reels and lanyards. While not made in the USA like our popular MINI-BAK Series, these are a great alternative. 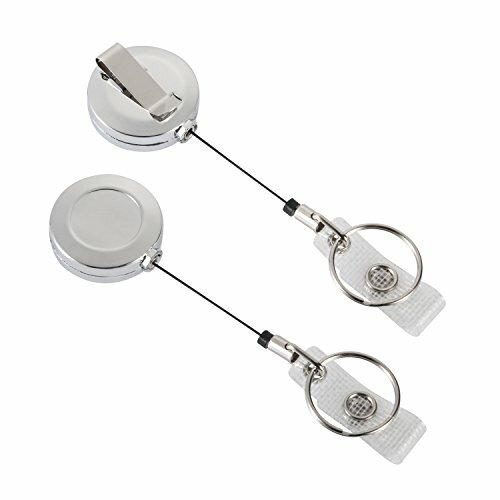 Designed using the same technology we invented in 1981, these retractable badge reels are tested to 40,000 retractions and a great security device. This product comes with 5 badge reels. 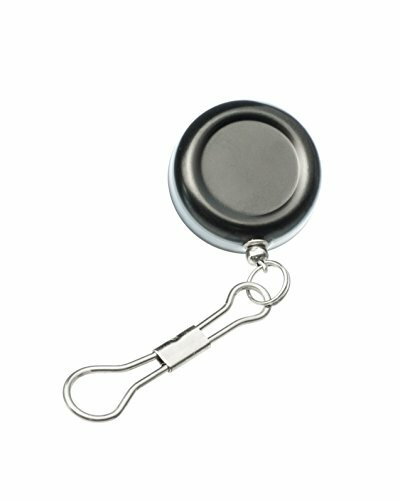 Material:plastic+metal The features offered by this badge reel are useful in any modern work environment, such as an office building. The 31.5 inch long retractable cord will allow you to easily swipe an electronic security card or display your ID without reaching into your pocket or bag. The Retractable Carabiner Badge Reel by ToNic Innovation will help you keep your ID, electronic verification card or security badge within your reach at all times, without the risk of losing it. 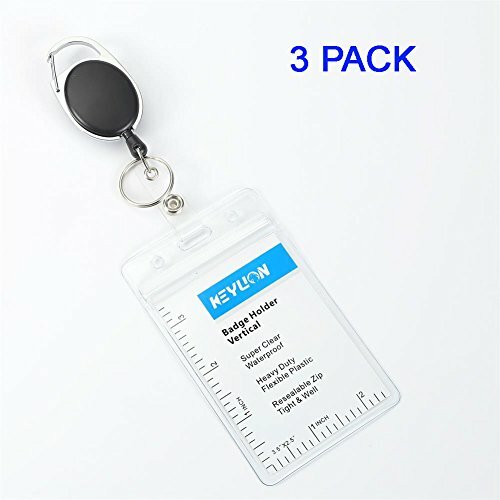 JUMI Retractable Keychain & ID Badge Card Holder With this retractable keychain & ID badge card holder, you always have a flexible and secure access to your carry-on items. The sturdy metal case and firm string make it particularly durable. The carabiner reel is heavy duty and smooth. The solid belt clip can be easily attached to a belt or pockets. Please do not hesitate to contact us if you have any problem with JUMI products for any reason. We will do our best to solve your problem as soon as possible! 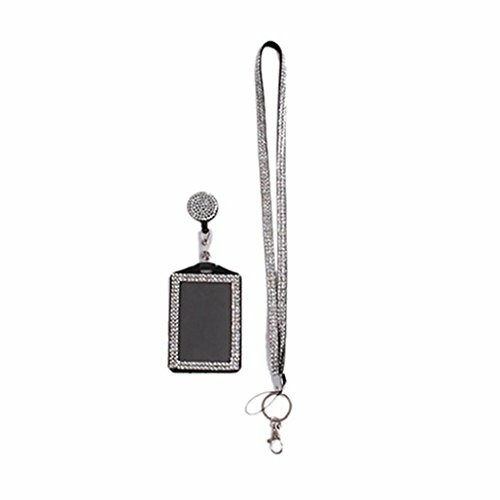 SE 202JPP Retractable Pin-On Black Matte Finish Pull Reel Key Chain ID Holder, 1"
The SE 202JPP Retractable Pin-On Black Matte Finish Pull Reel Key Chain ID Holder, 1" has a black metal body with a matte finish and a pin-on attachment on the back. Our pull reel has a retractable 18-1/2" stainless steel cord with nylon coating for extended reach and quick and easy access when you need it. Do not lose your keys, wallets, folding knives, flashlights, car alarms, name badges, garage door openers, whistles, or anything you want to have readily available and secure from loss by attaching your valuables to our durable retractable pull reel. It has a 1" diameter SE is committed to providing the customer with the best source for value possible on the market. 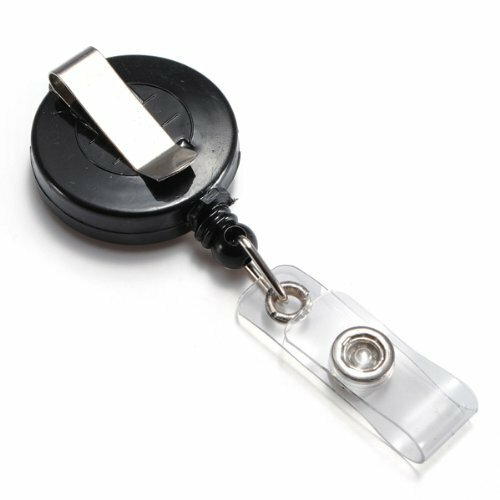 You will enjoy the quality, function and usefulness of our SE 202JPP Retractable Pin-On Black Matte Finish Pull Reel Key Chain ID Holder, 1". IPR Rights Notice: Important: Avoid getting counterfeit items. Genuine SE products come with the SE logo on the packaging. SE is a registered trademark protected by US Trademark Law. KEY-BAK's MINI-BAK key reel is made in the USA and engineered for a lifetime of use. Built with the best quality stainless steel spring, this is the most reliable key reel made with up to 4 ounces of retraction. Small but mighty, MINI-BAKs have been tested in excess of 1,000,000 pulls. The 1.25 inches (3.18 cm) diameter case is made of strong ABS plastic. Originally invented in 1948, KEY-BAK reels have become an invaluable tool for professionals who rely on secure and convenient access to their keys or ID badges. KEY-BAK reels also work for small hand tools, gauges, flashlights, identification cards and outdoor gear. We stand behind our MINI-BAKs with a one-year service policy. 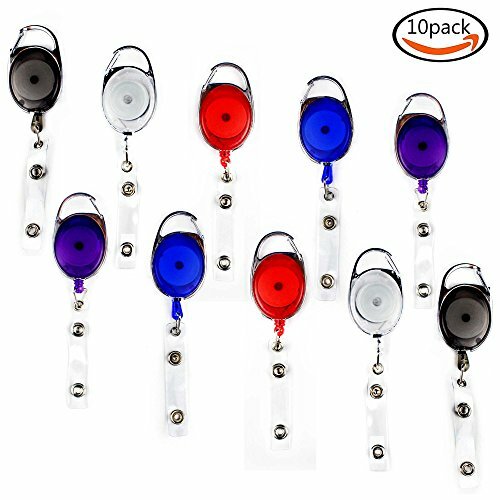 Compare prices on Key Id Reels Holders at ShopPlanetUp.com – use promo codes and coupons for best offers and deals. We work hard to get you amazing deals and collect all available offers online and represent it in one place for the customers. Now our visitors can leverage benefits of big brands and heavy discounts available for that day and for famous brands.